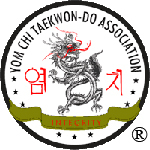 Master Blakeley started his study of the traditional art of Taekwon-Do in 1976. 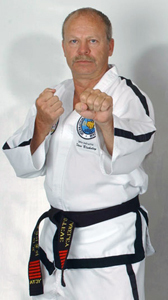 In 1979 he purchased Eastern New Mexico Taekwon-Do and moved the location from Clovis to Portales. As a nationally and internationally certified black belt he holds the rank of 8th Degree Master. Grandmaster W.L. Lang, 9th degree, has been Mr. Blakeley’s instructor since 1988. In 1994, Master Blakeley was certified as in international instructor of ITF Taekwon-Do under Grandmaster Choi Hong Hi, the founder of Taekwon-Do. Master Blakeley certified as an instructor of Police Defensive Tactics in 1980 and instructed courses for the Portales City Police, Clovis City Police, and the Roosevelt and Curry County Sheriff’s Departments. Master Blakeley instructed hand-to-hand combat for the Army ROTC at Eastern New Mexico University for 17 years. Master Blakeley qualified two of his black belts, Mr. Bresler and Mrs. Cordova for the USA Taekwon-Do team to compete in Dublin, Ireland in 1998. These two students returned from the USA vs. Ireland competition with a total of five medals. In 2004, Mr. Blakeley qualified three black belts to compete in the ITF Taekwon-Do World Championships in Daejion, South Korea. Ms. Audra Brown, Ms. Nicole Frank, and Mr. Mark Yoesting had the honor of competing at the highest level of competition in Taekwon-Do. Ms. Brown returned with a Bronze medal in power breaking. In 2007, Mr. Blakeley qualified four more black belts for the ITF World Championships in Birmingham, England. Mr. John Bridges, Ms. Audra Brown, Mr. Mark Yoesting, and Ms. Danielle (Belle) Houston. Ms. Brown earned a Silver medal in patterns. Mr. Blakeley has been coach of the USA ITF World Team in 2004 and 2007. 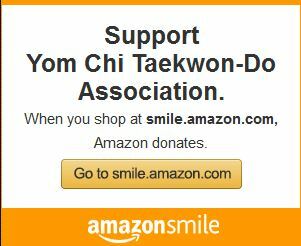 Master Blakeley has published four books on Taekwon-Do, two of which are currently used by the Yom Chi Taekwon-Do Association®. These are the “Colored Belt Handbook” and the “Black Belt Handbook” describing the test requirements used by the YCTA. Master Blakeley’s third book is “Taekwon-Do Customs and Etiquette”. His fourth book published in April of 2010 is “Taekwon-Do Instructor to Entrepreneur”.